BEFORE the reign of smartphones and social media, food businesses largely depended on print advertising, word of mouth, and walk-in traffic to attract customers, generate sales, and promote products. This, however, benefited only the large companies that had bigger budgets for media advertising. Thanks to the birth of social media, small and local food business owners now have more opportunities to achieve lively sales, enhance their brand reputation, earn more referrals, and attract the high customer traffic that only large businesses used to enjoy. “Social media reinforces word of mouth and magnifies it on a grander scale. On one hand, it is a good thing as it allows Maco Manok to reach markets in and outside of Cebu. It also makes it easier for us to advertise our offerings and to gain immediate feedback from our customers,” said Christine Joy Lim, owner of Maco Manok, the 2016 SunStar Best of Cebu Winner for Best Native Chicken. She said hashtags, reviews, and “check-ins” have contributed to the rising popularity of this native chicken inasal place on A.S Fortuna St., which started as a home-based business some seven years ago. Last Friday night, the Sunstar Media Group, AirAsia and Ssangyong Motor, in cooperation with Arthaland, hosted a party that showcased the Best of Cebu 2016 winners. A total of 60 establishments, like Maco Manok, received awards. On its fourth year, the Best of Cebu introduced two new sections: the Cebuanos’ Favorites and the Grand Slam winners. Each December and the Sinulog week after that, the Best of Cebu winners are featured in a special edition of SunStar Cebu Weekend magazine. 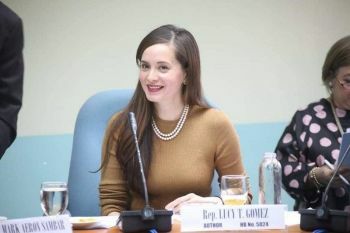 During Friday’s event, Lim noted that social media has it made it easier for businesses to advertise their offerings and to gain immediate feedback from customers. Christine and her husband Marc, the chef, used to cook in their house and personally deliver food to friends and relatives. They started selling native chicken with a twist and, over the years, added some pork, beef, and seafood to their menu. “With the rising popularity of social media, news and reviews of us reached people we never dreamed we could reach at such a fast pace,” said Lim. The Best of Cebu 2016 Winner for Best Wellness Food Delivery, Diet in a Box, also attracted loyal patrons via social media. Chime Bell Osabel, business development and marketing specialist, and Angelo Amadeus Go Moreno, the executive chef, took advantage of various media platforms to sell diet food online. “Clients learned about us through electronic word-of-mouth, as most people call it. I’ve posted several photos of our products online. I’ve also selected close friends with higher social media influence to try our products first,” said Osabel. These “online influencers” helped the business draw more than a thousand followers on Instagram and thousands more on Facebook. “You would not believe me if I tell you, but the only effort we have had since then is our Facebook ad boost, and our loyal clients who believe in our food advocacy helped spread the word,” Osabel said. Diet in a Box debuted in 2015 with the goal of inspiring Cebuanos to switch to a healthier way of eating. They poured P6,000 to jumpstart the online business. Osabel recalled booking their first 10 clients when they started; a week after that, the list grew to 25. Now, they cater to some 350 clients on a daily basis for both Cebu and Mandaue deliveries. While these two homegrown businesses pin their success on social media, they are also careful about using this powerful tool, which also has the ability to tear down any business. Lim believes that while social media help build businesses, these platforms should also be used responsibly. “Any complaints or negative feedbacks are magnified in social media. At Maco Manok, we strive to always be conscious about our quality and service,” she said. More than using social media platforms to display their offerings and invite more customers, the couple use it as an information hub for interested and potential customers. “Unlike other restaurants, we don’t tend to barrage our customers with too many posts and sponsored ads in Facebook and Twitter. We tend to be restrained with what we post,” said Lim. Osabel also noted that entrepreneurs must know who are positive about their brand and could become potential advocates.